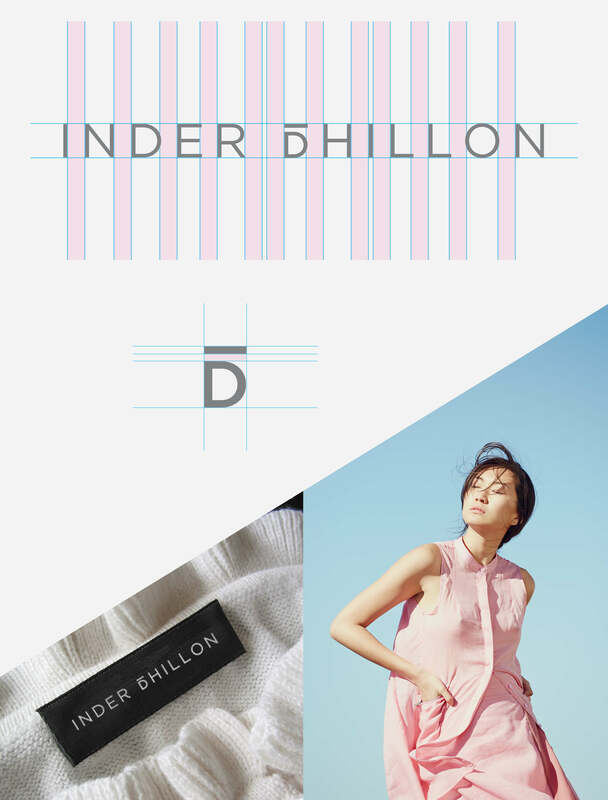 Inder Dhillon is a fashion designer who started her own label in 2012. 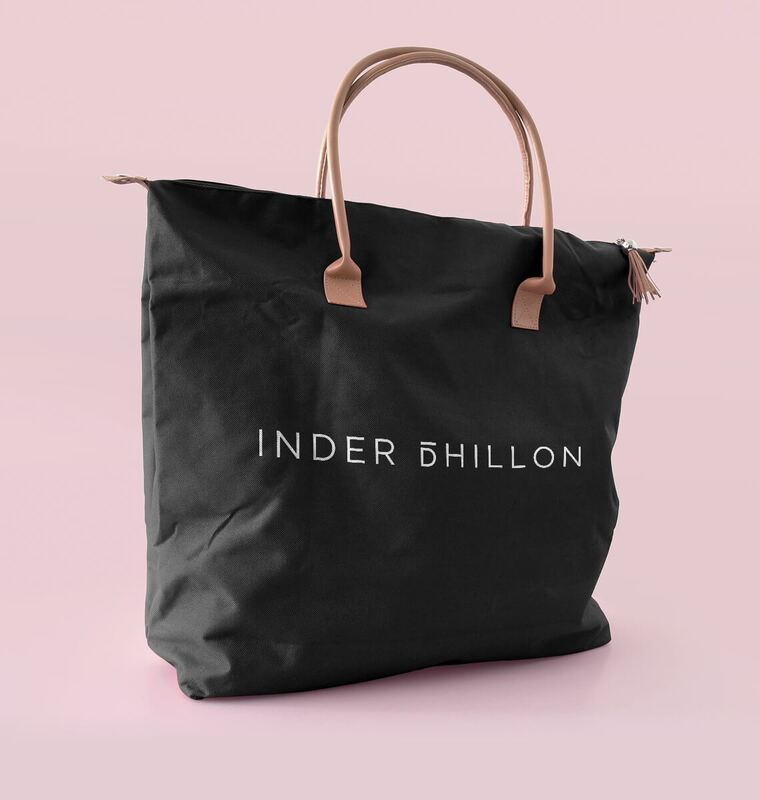 Trained at Parsons School of Design in New York and East Sydney Tech/Ultimo, Dhillon has slowly been climbing her way up in Australia’s unique and hip market. 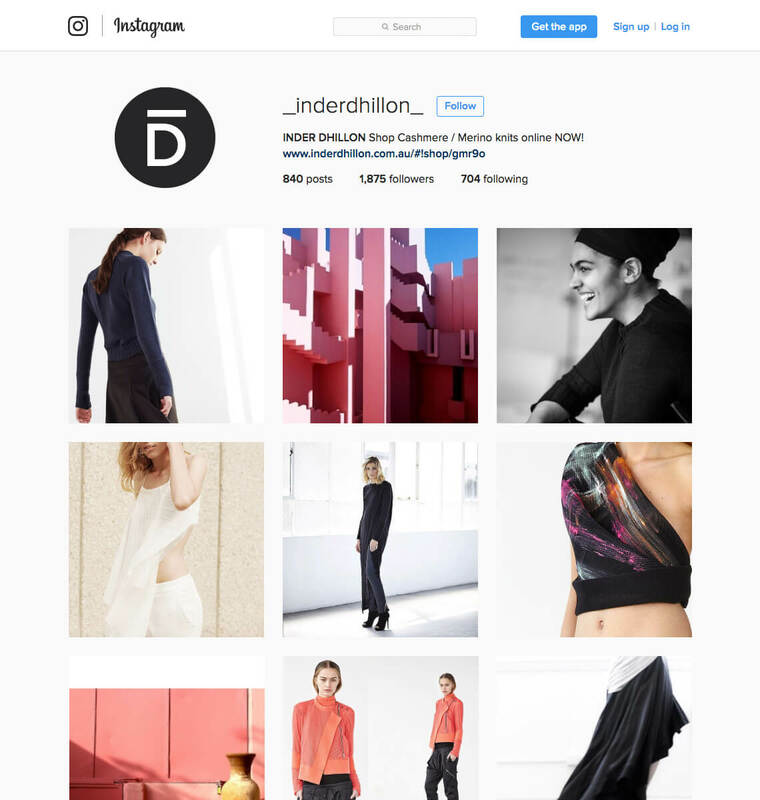 Dhillon is able to create amazing contemporary womenswear using unique textiles and influences from her North Indian background. 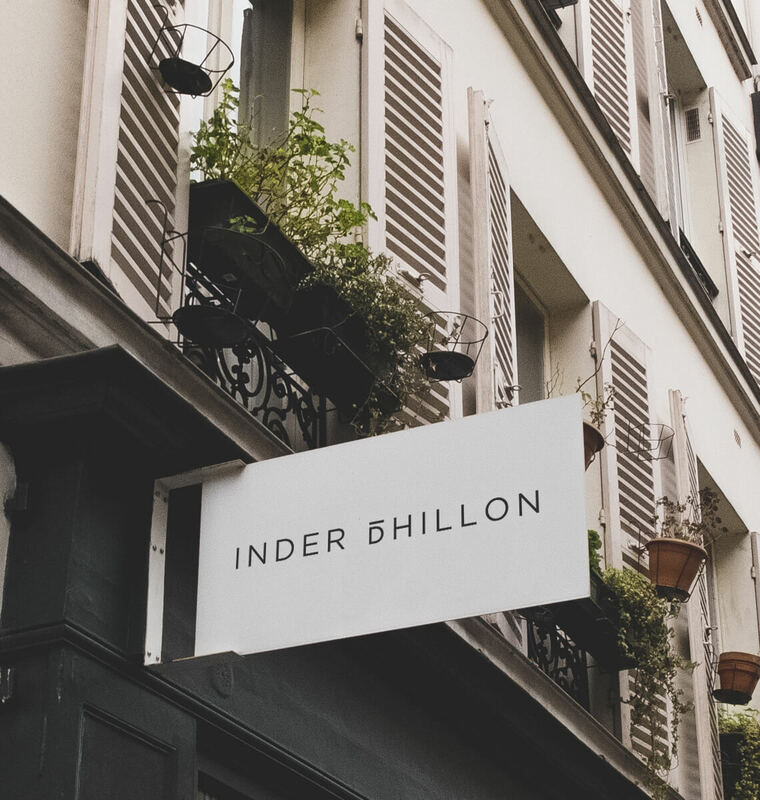 Dhillon is a close friend who asked me to help her create a visual identity for her new label. We had a very tight deadline as Dhillon was going to officially launch her label at the Mercedes-Benz Fashion Week. We did not have much time so we got the ball rolling immediately through a series of discovery interviews and conversations over Skype. 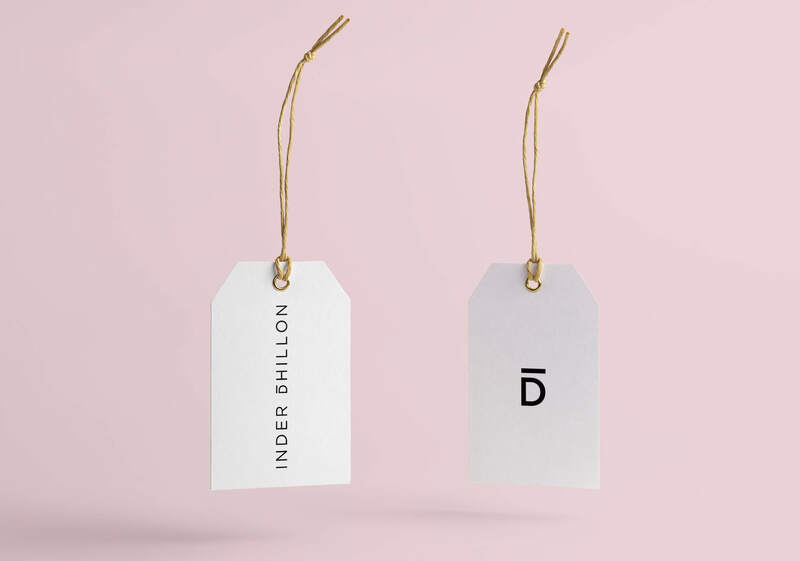 Dhillon wanted an identity that was multifaceted and flexible enough to be used on hundreds of different applications across her entire label. 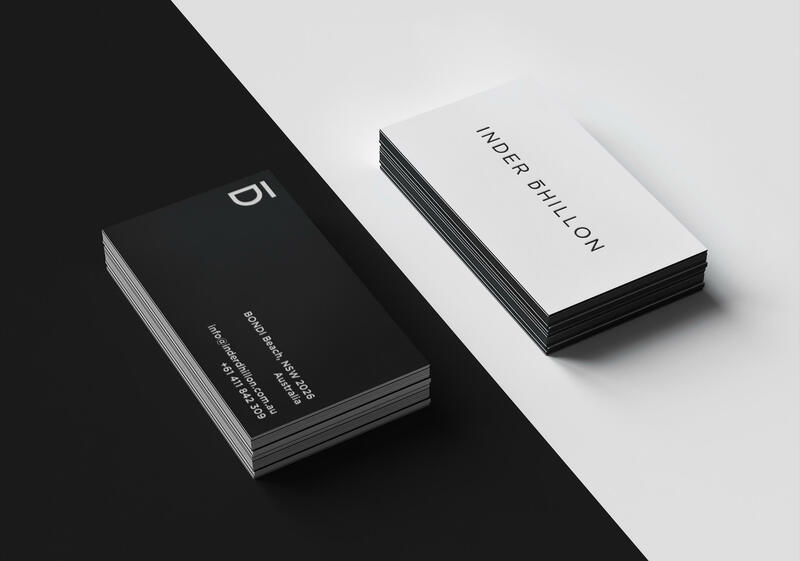 The identity had to be clean and contemporary while exuding luxury in an understated, yet elegant way. After getting a list of her competitors and a list of artists she draws inspiration from, I created a mood board to look for patterns and techniques that we should either avoid or explore. It helped give both of us clarity about global and local designers her label would compete with. 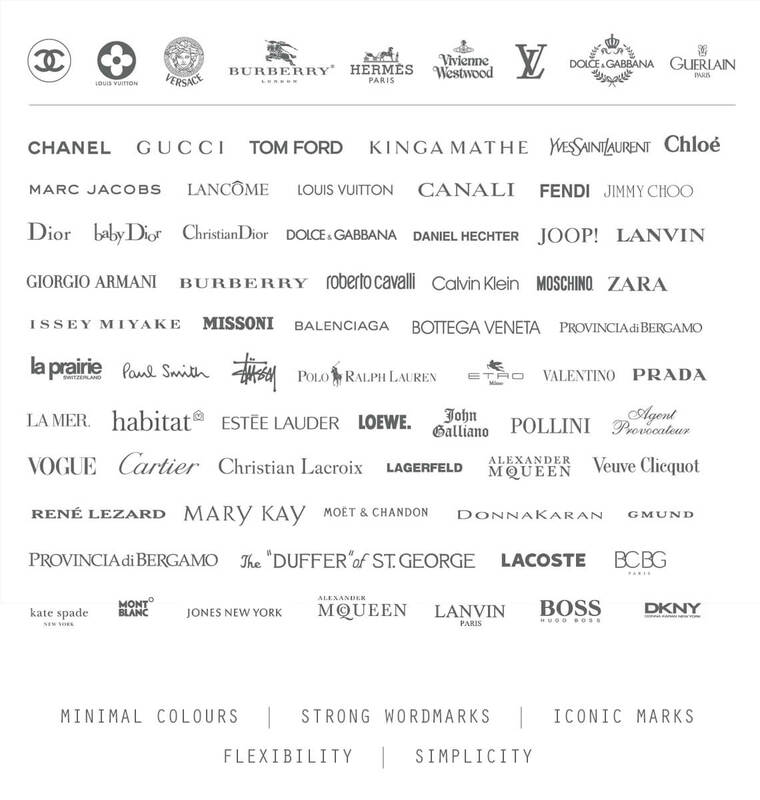 Through my research, I found that a majority of labels were created using typefaces that have been customized or modified, and I knew we would have to do something similar. 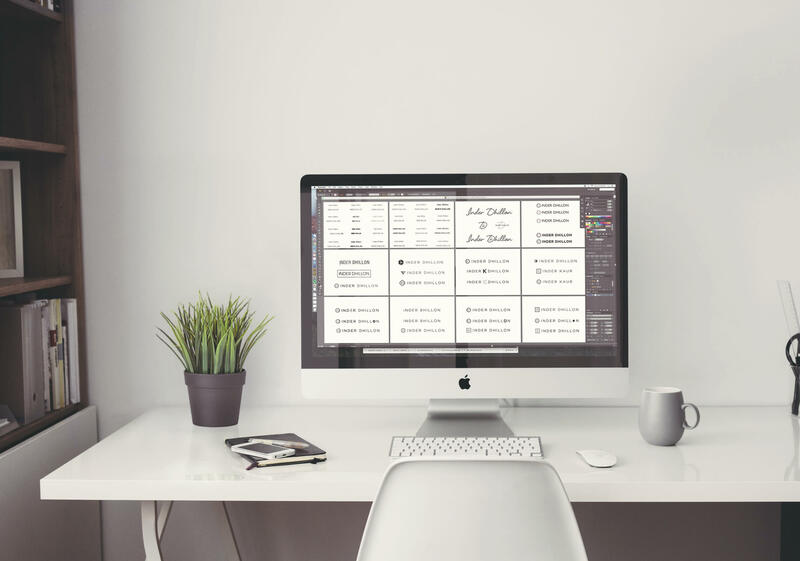 Once the sketching process started, I sent Dhillon dozens of iterations at every stage of the review process. Her feedback was quick and to the point, which allowed me to revise sketches at a very fast pace. I found gold when destructing her name (her initials) and realizing that we had something really strong with a horizontal bar about the letter D. This little eureka moment created a full wordmark of her name and a stand alone icon mark. It was simply magic and Dhillon loved the direction. From the start of the process, Dhillon was very hands on. Working with another creative artist really forced me to reiterate and revise my ideas 2 to 3 times before I submitted any sketch. Both Inders were extremely excited with the end result. I have been so fortunate to see my work displayed in her clothing lines and gracing various Fashion Week shows.